JustLuxe’s Suite Life presents a dimension of living that depicts some of the highest end suites and penthouses worldwide. We have reported on many, but this Owner’s Suite, also a Penthouse, is different from those previously highlighted here. 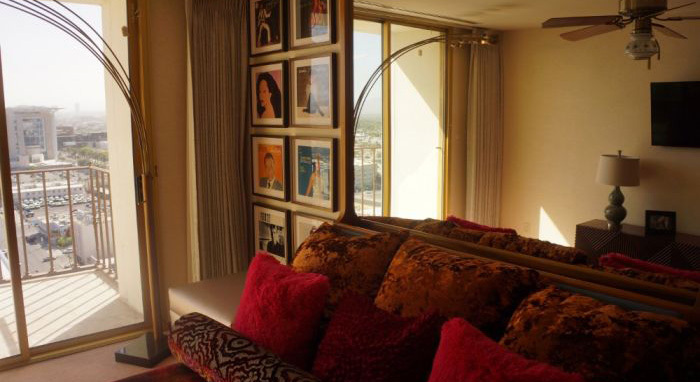 The Gaughan Suite defines a long-disappeared mid-century Las Vegas taste, not generally found in high end suites today. There are no butlers, private chefs, separate staff entrances, two or three floor areas, no pool tables, outdoor swimming pools. And yet…it deserves a Suite Life recognition, as an homage to the past, again, informing the present. 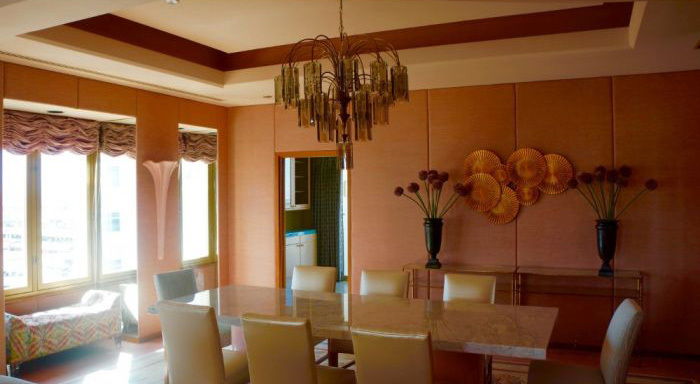 For back in the day, this interior design was the crème of the crop, defining a Vegas Va-Va-Voom-ness that still lives within these upholstered walls of this unique space. 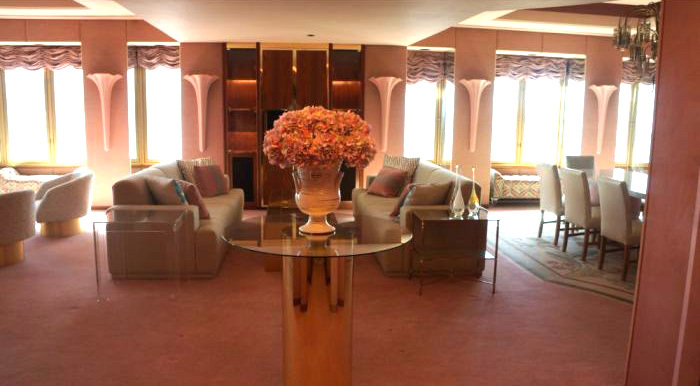 Walking into the Gaughin Suite, owned for years by casino magnate and hotel owner Jackie Gaughan and his wife, Bertie, is like stepping back into the 1950s and 60s. We felt like Marty McFly in the first Back To the Future film, where we landed in an area that those of a certain age would have considered either elegant or ostentatious, or both. The owner, Jackie Gaughan, bought the El Cortez Hotel And Casino in 1963, and lived at the hotel from that time until his death in early 2014. He and his wife, Bertie, moved into this penthouse in 1980, and lived in the 2,700-square-foot space on the 15th floor nearly 25 years. He died in 2014, two years before the property celebrated its 75th anniversary. Bertie died in 1996. 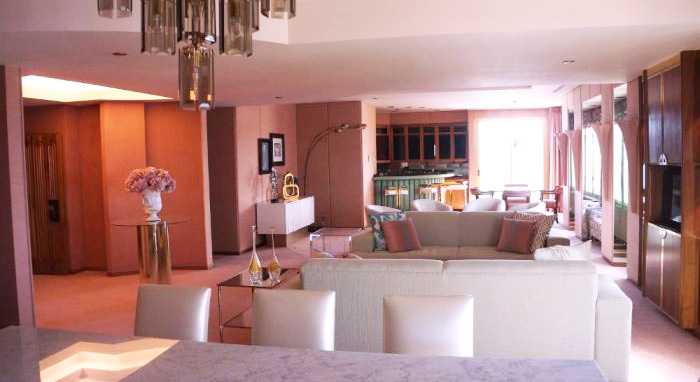 Seeing the the living area, we were struck by its overall color: a blushing pink. Here, there are upholstered pink walls—those that Bertie chose and loved. And as we entered, we also made note of an intercom, put in about 50 years ago, that still works. Once inside, there are two bedrooms, 2 ½ bathrooms, a living room, a full kitchen and even a children’s playroom, called the Romper Room. 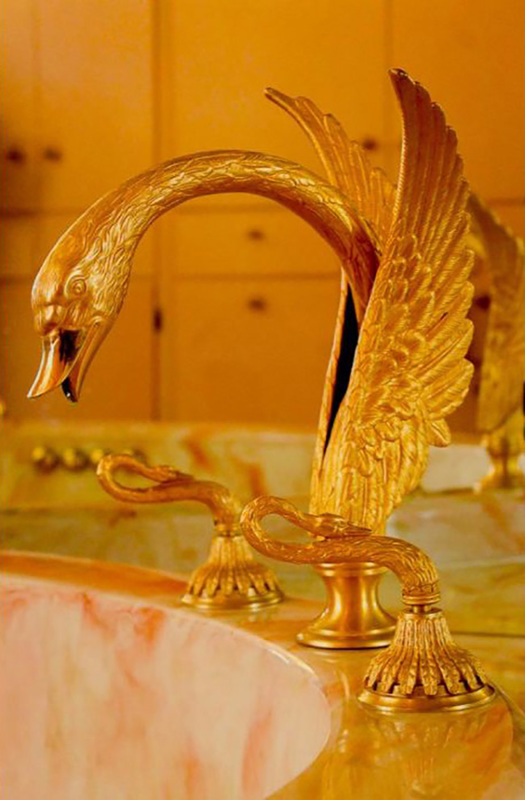 One of the bathrooms features a marble tub with gold fixtures, with water spouting from the mouth of a golden swan. The Swan fixtures were a Sherle Wagner design, very popular back in the 1960s and earlier. 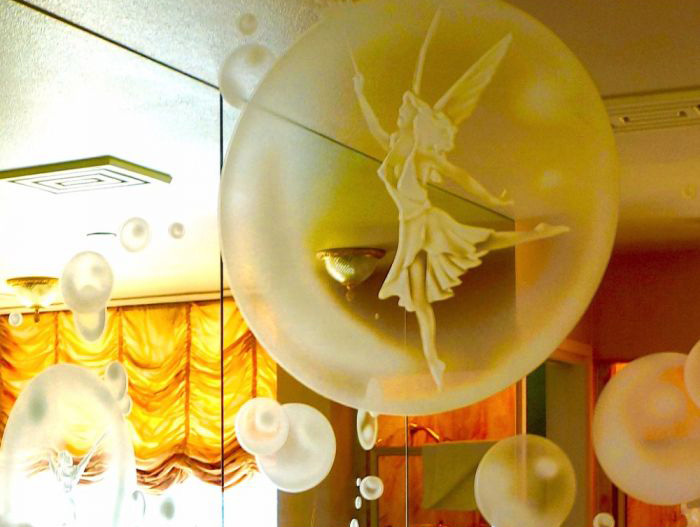 The mirror above the tub has dancing fairies and bubbles cut into the glass. 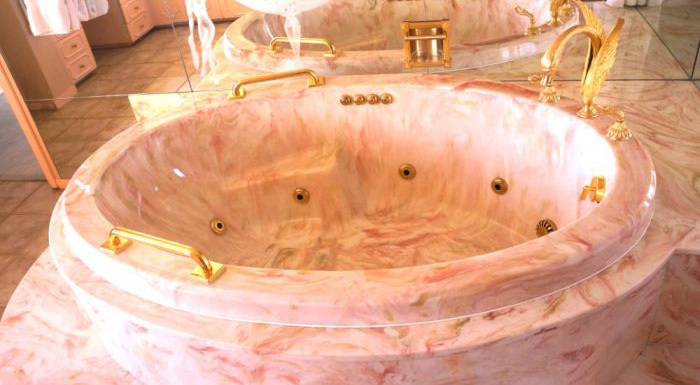 The toilets and bidet are also of pink marble. What that means is that they must be assured of your reputation, with assurances you'll leave it in the same pristine condition in which you found it. The price, as of this writing, well over $700 a night. This Suite will be on our minds for a long time to come.